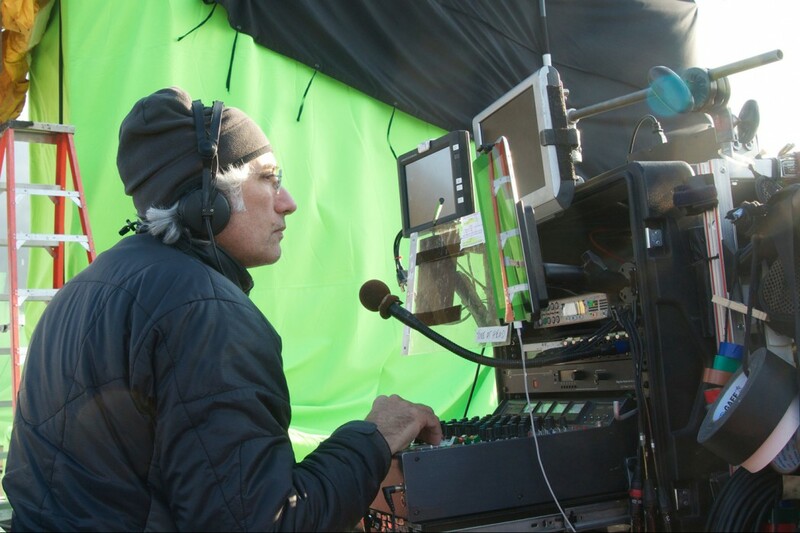 Veteran production sound mixer, Danny Michael has used a lot of microphones and recorders throughout his 50-yr career in film and television sound recording. These days he usually sports his trusty d:dicate 4017B shotgun for traditional booming situations, but it wasn’t always the case. Very few sound mixers gain any kind of notoriety, despite stellar and long careers. Few outside of film sound production would have heard of Danny Michael, despite having worked on many famous films over the years (seriously, take a look at his IMDB listing), films such as The Departed, The Secret Life of Walter Mitty, 8 Mile and Extremely Loud and Incredibly Close. His work on the film Mississippi Burning earned him a Best Sound BAFTA Award and Oscar Nomination for the same category. “Since The Departed, my backup has become Metacorder on an Apple laptop setup with an Apogee Ensemble (modified for 12V operation) for my A to D conversion. I also record that backup material about 3 to 4db lower for extra protection. I use a CAT5 system for video and audio and I loop the audio thru the video assist which then feeds the Comteks during playback of a scene. Sadly, with so much high def video showing up on jobs, that nice, durable Cat5 setup is no longer capable of providing SDI video to my sound cart. One step forward another step backward,” he continued. 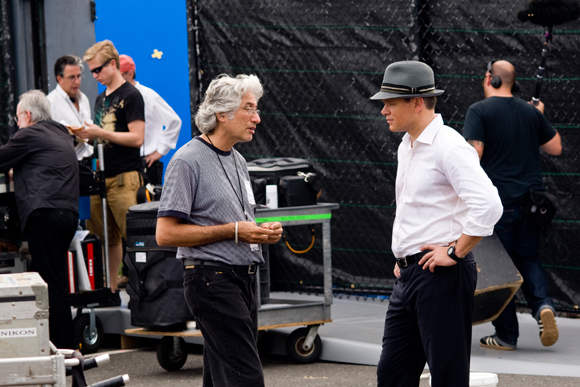 Danny Michael speaking to Matt Damon, on the set of The Adjustment Bureau (image: courtesy of Universal Pictures). When shooting The Secret Life of Walter Mitty, with Ben Stiller, Michael designed two rigs, a cart-based rig for on-set and a second portable rig for on-location. Along with his 4017B shotgun mic, Sound Devices 788T-SSD and CL-WiFi interface, Michael’s cart also includes the Lectrosonics VRT-Venue System, Lectrosonics radio mics, Schoeps CMC-6U and CMIT-5U mics, a Cooper Sound 208 mixer, Blackmagic dual seven-inch monitors and a Denecke Dcode GR-1 as the main time clock. Danny Michael using the d:dicate 4017B shotgun on the set of Night at the Museum: Secret of the Tomb (image: supplied). 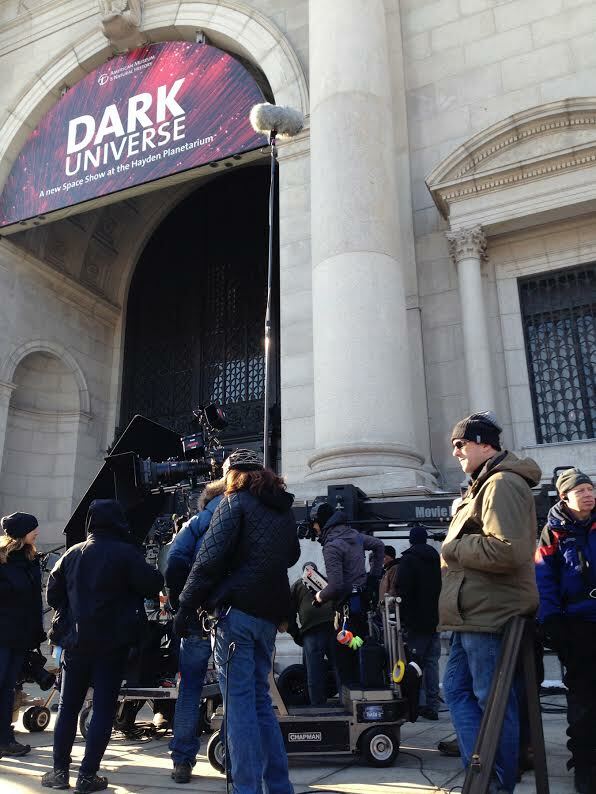 Within the last year, Michael has continued using the DPA brand of mics on a variety of productions, including the New York set of Night at the Museum: Secret of the Tomb, directed by Shawn Levy. Currently in theaters, this is the third installment of family-friendly action series and famously the last film Robin Williams ever made. While filming exterior shots with Ben Stiller and Ricky Gervais, outside of the Museum of Natural History in Manhattan, Michael went with his earlier mentioned 4017B Shotgun, to battle the noise of Central Park West. Michael has started to form a bit of a habit using his 4017B, recently using it when filming the pilot for NBC’s upcoming fall drama, Allegiance, starring Hope Davis and Scott Cohen. 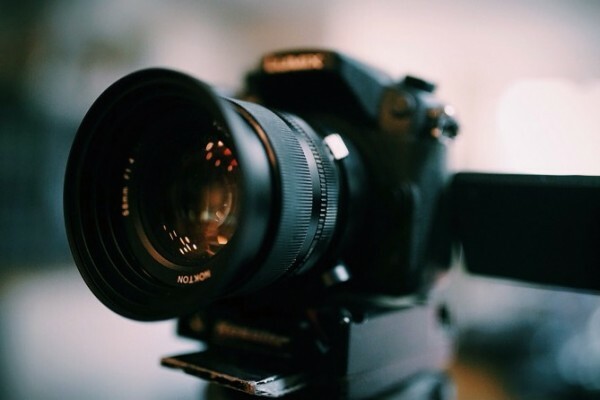 “I am using the 4017B more frequently and trying it on a variety of projects to get an even better feel for what it can withstand,” Michael adds. He’s also started to incorporate the company’s d:screet miniature mics into his rig, using them in This is Where I Leave You, a comedy directed by Levy and starring Jason Bateman, Tina Fey, Adam Driver, Rose Byrne, Corey Stroll, Kathryn Hahn and Jane Fonda; and The Intern, directed by Nancy Meyers, starring Anne Hathaway, Nat Wolff and Robert De Niro, which is currently in production. We think that’s great advice for young filmmakers, no matter which crew role you inhabit. Excerpts from Sound & Picture interview with Danny Michael and Press Releases.